The ground floor is leased to Cherry Blow Dry Bar, a national credit tenant in Year 2 of their 5-year term with one 5-year option to renew. They currently operate 18 locations across the US and have four more upcoming locations. The apartments facing Washington Square are '3 windows' wide with splendid views of the Square. They are all one-bedroom, one bath units with modern open plan kitchen/living room spaces. Each unit has hardwood flooring, its own washer/dryer, granite counter tops, dishwashers and garbage disposals as well as its own HVAC system. Located in the midst of Washington Square West, Society Hill and Midtown East/Midtown Village, this location offers many restaurants and great shopping. Surrounded by Penn and Jefferson Hospitals as well as the high-rise buildings on Washington Square, there is an ongoing supply of residential tenants and patrons for the retail. 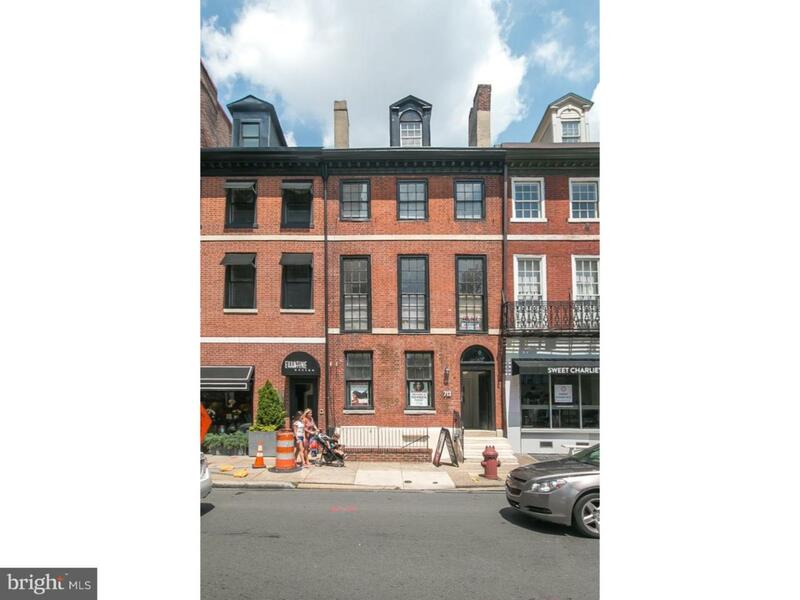 713 Walnut Street was built circa 1800 by architect Benjamin Latrobe as part of Sansom's Row and is listed as a significant property on the Philadelphia Historic Register.